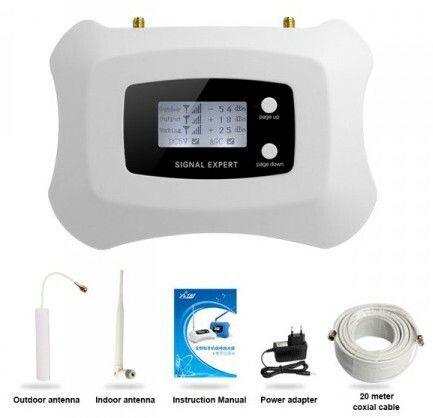 ATNJ JS-L1 mobile phone network signal booster has T&T / 2G / 3G / 4G network support, LCD display, control switch, 1 outdoor antenna, 1 indoor antenna, power adapter, 230 meter coaxial cable. useful for achieving network signal from where network is rear and weak, frequency bandwidth 3dB, gain 70dB, step attenuation 31dB @ 1dB / step, spurious emission ≤ -15dBm / 30kHz, 9kHz~1GHz ≤ -36dBm / 30kHz, 1GHz~12.75GHz ≤ -30dBm/30kHz, in-band ripple ≤ 3dB, VSWR <=2, I/O impedance 50Ω, noise figure ≤ 5dB, system delay ≤ 5μs. 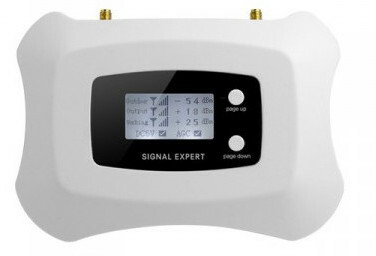 Visit showroom or call to buy the mobile signal booster from Dhaka, Bangladesh.